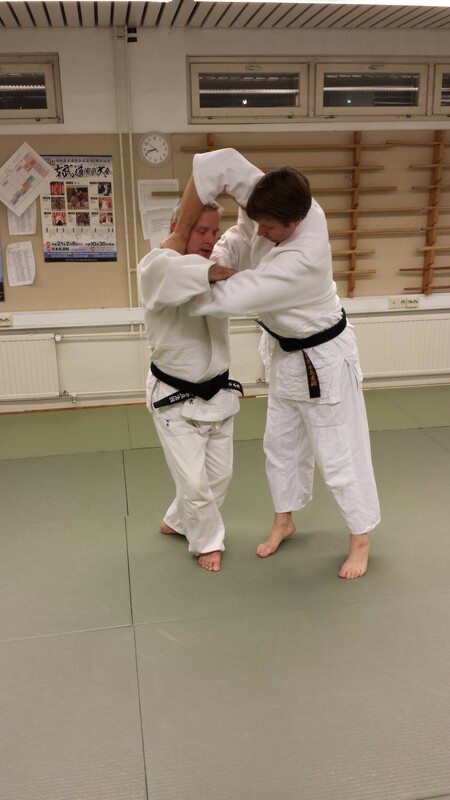 Kobayashi Shihan pitää leirin 13.-17.11.2013. Ti 12.11. opettaja saapuu. Vienti hotellille ja illallinen. Päivisin erilaista ohjelmaa opettajan kanssa. Leirin hinta 100 €/koko leiri. Viikonloppu 50 €. Lauantai 30 €. Muuten yksittäinen harjoitus 20 €. Leirimaksun voi maksaa ennakkoon tilille FI93 8000 1370 297526, viite 3544 tai käteisellä leirin alussa. Jos maksat tilille, ota kuitti mukaan. Ilmoittautua voi facebook-ryhmissä sekä salilla olevaan listaan. Kobayashi Shihan on harjoitellut lähes 60 vuotta joten laadukasta opetusta on luvassa! 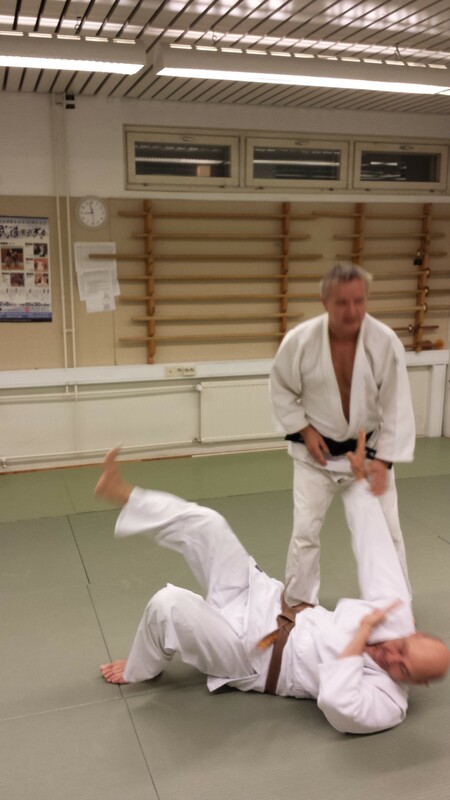 Kobayashi Shihan will hold a seminar in Finland from the 13th through the 17th of November 2013. Tue 12.11. teacher arrives. Transport to hotel followed by dinner. There will also be various free time activities with the teacher between training sessions. Prices 100 € for the seminar. 50 € for the weekend. 30 € for Saturday. 20 € for other individual training sessions. Training fees can be paid in advance by bank transfer to account FI93 8000 1370 297526, (reference number 3544) or in cash at the beginning of the seminar. If you pay by bank transfer, bring a receipt. 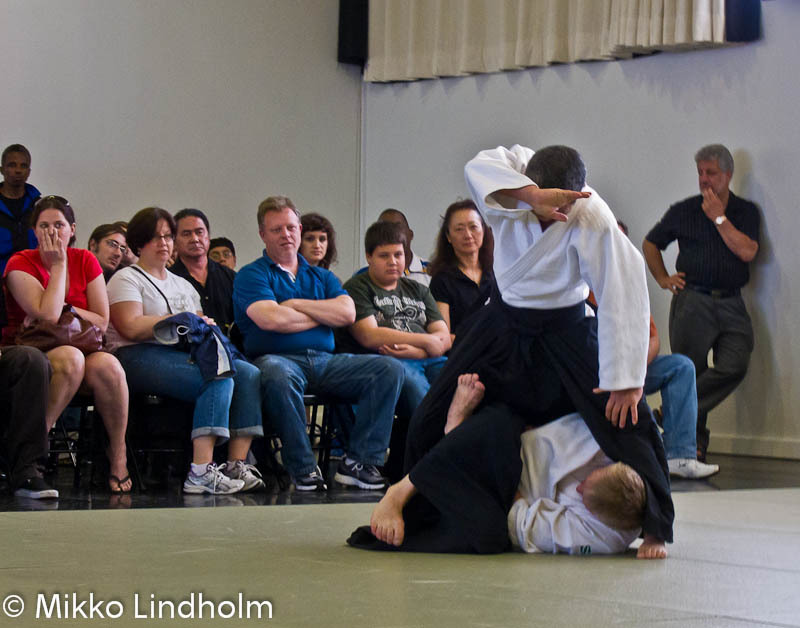 You can register in the Fudoshin facebook group, or by adding your name to the list at the dojo. Kobayashi Shihan has trained Daitoryu for nearly 60 years, so expect lots of great quality teaching! 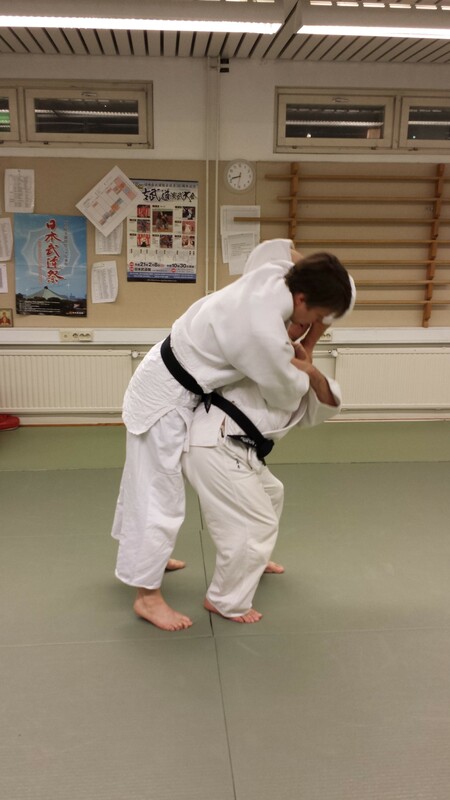 Kawabe shihan tulee jälleen opettamaan Suomeen. Opettaja saapuu lauantaina 20.7., ja ensimmäiset treenit pidetään sunnuntaina 21.7. aamulla. Leiri jatkuu keskiviikkoon 31.7. asti, ja treenejä on kaikkina päivinä lukuunottamatta perjantaita 26.7. Treenikertoja on 16 ja aikataulun mukaista treeniaikaa yhteensä 35 tuntia — siis aivan loistava tilaisuus päästä oppimaan uutta. 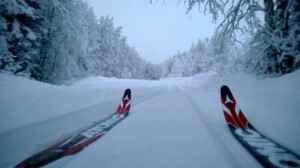 Maksun voi suorittaa tilisiirtona: Fudoshin ry., Sampo Pankki 800013-70297526, viite 8167. Leirin voi maksaa tilisiirron lisäksi käteisellä sekä liikunta- että virikeseteleillä. Muut kuin tilisiirtona suoritetut maksut maksetaan Arja Holopaiselle leirin yhteydessä. Fudoshinin dojolla voi yöpyä 5 euroa per yö. Fudoshinin treenaajat ja opettajat toivottavat kaikille hyvää kesää, joka toivon mukaan sujuu harjoittelun merkeissä. Sali on auki koko kesän. Koryu 2013 -näytöksessä esitellään Suomessa harjoiteltavia perinteisiä japanilaisia budolajeja. Näytökseen osallistuu yhdeksän koulukuntaa. Suurin osa lajeista kuuluu Japanin valtion tukemaan traditionaalisen budon kattojärjestöön Nihon kobudo kyokaihin. Näytös Helsingin Rudolf Steiner koululla lauantaina 19.1.2013 kello 15.00 – 17.30. Mikael Sali. Unisport Daitoryu on muuttanut uudelle salille! Unisportin Daitoryu muuttaa syyskuun alussa Unisportin uudelle budosalille osoitteessa Pohjoinen Hesperiankatu 25.
käytävälle, jonka vastakkaisella seinällä näkyvät liukuovet ja pääsy liikuntasaliin. Huom! Pukuhuoneiden kaappeja varten kannattaa olla oma lukko. 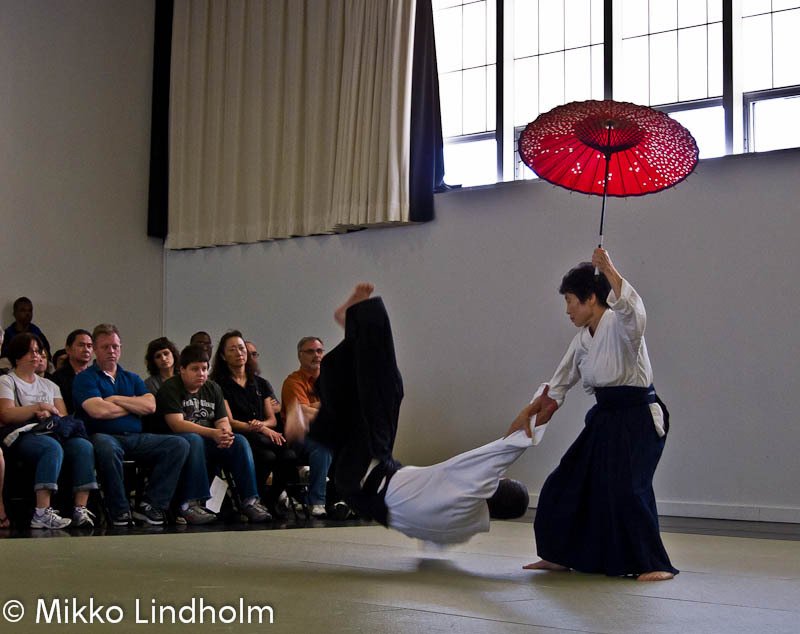 On Saturday, June 12, Yushinkan dojo, the New York Takumakai branch, had its 10th anniversary. A big embu (demonstration) was held at the Mark Morris Dance Center in Brooklyn, NY. Several prominent Takumakai members from Osaka were demonstrating, including Kiyohiro Kobayashi (8. dan), Takeshi Kawabe (8. dan), and Hideo Annoki (6. dan). 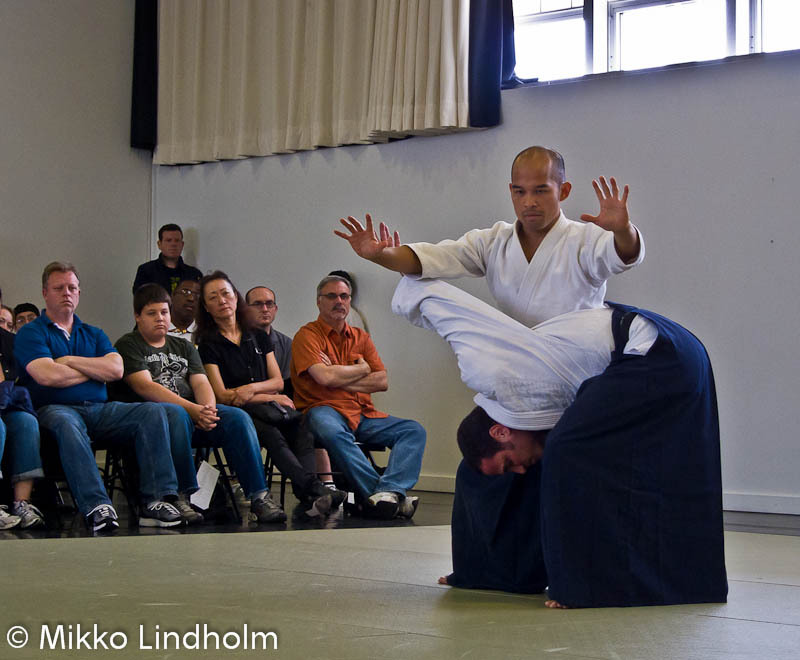 From Yushinkan dojo all the teachers – Rodrigo Kong, Kenneth Freeman, Noah Landow and Chris Owyoung – and many students were demonstrating. 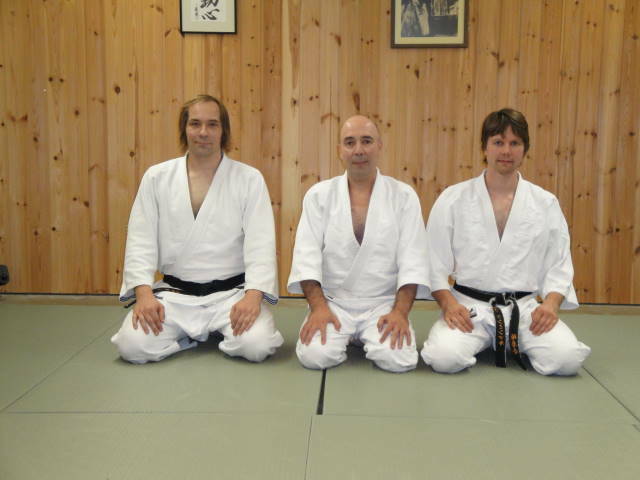 From Fudoshin dojo Finland four persons were attending and demonstrating: Jyrki Rytilä, Jyri Lamminmäki, Terho Korhonen and myself. The embu was the first public display of Takumakai-style Daitoryu in the US, and the event was sold out. Several fine demonstrations were seen, and the audience seemed impressed, even frightened during some of the demos. We were the first ones to demonstrate. I was lucky to be one performing first of all, so I didn’t have much time to get nervous. Our part went quite nicely, although I think the audience was still orientating on what this really is about. After us the Yushinkan members demonstrated vigorously and with great enthusiasm. Some of the highlights of japanese group’s demonstration were kasadori (techniques while holding an umbrella) by japanese lady whose name unfortunately slipped me, Miki-sensei ‘s (5. dan) energetic performance, and of course Takumakai head teacher Kawabe shihan’s part. He had several ukes, but did – perhaps as a compliment to the host – particularily hard technique on Rodrigo Kong, who received it very well and without injuries. A nice distraction from the unarmed performances was Annoki sensei’s iaido demonstration, which even included a kaishaku (execution) demostration. After the show was over a big party was held (of course). We had very good time once again and made many new friends. The next day, Kobayashi and Annoki senseis gave a special class. Kobayashi sensei was concentrating, as usual, on doing basic technique effectively. He managed onc e again to bring a new aspects to ippondori and kotegaeshi, techniques of which I thought I had seen everything already. Annoki sensei taught fundamental aikiwaza. I specially remember his advice to move the hand and the knee together in aikinage, and to move in parallel, not turning away from the uke. After the anniversary weekend was over, Kawabe sensei held a seminar from Monday to Friday. Usually after the seminar most of what has been taught vanishes from my mind, but I hope they stay somewhere in the unconcious. What I do remember is that sensei talked about correct movement with steady center and how this attitude extends also to the etiquette, such as bowing. He also talked about the use of mind and ki energy and showed some basic exercises to develop it. The movement from the hips with a steady center seems to extend somehow to the mental control of the opponent as well. On Friday a number of kyu graduations were made. Yushinkan dojo appears to have quite a stable base of students on different levels, which is good. In the evening we had a sayonara party at Kenneth’s home.The place was cosy and the servings abundant. All in all, the people at Yushinkan dojo are very friendly and sincere. We were taken good care of. It was nice to see people coming from other parts of US – Ohio, Arizona and Tennessee – to attend the seminar. Let’s hope Daitoryu can spread also to these places one day. What I particularily liked in the seminar was that everybody was training in good spirit, helping each other to learn and having fun. We had some time to see the city, but that was way too little. The guidebooks did not lie: New York is really special. 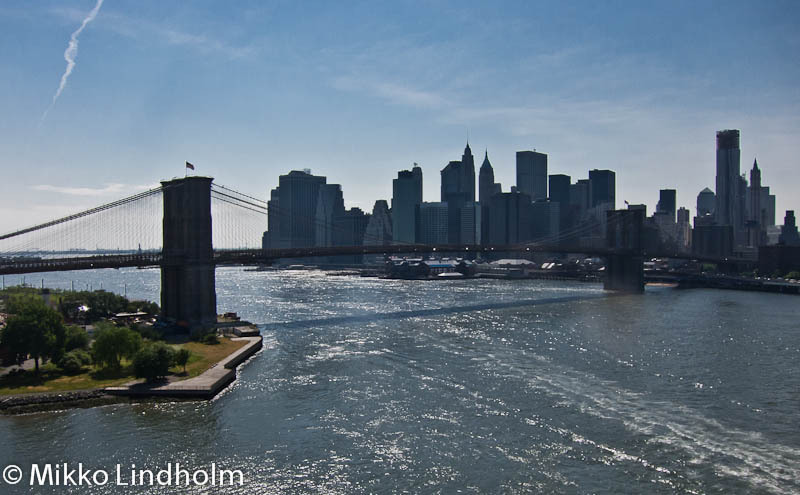 Manhattan of course is impressive, but also Brooklyn was a very interesting area. All the different kinds of people walking the street make an endless show. I made a promise to myself to return one day. It is now the 14th of September and I have been in Greece for 2 weeks now. I came back from Helsinki on Monday /31 of August. I realised I was in Greece the very minute I was at the airport trying to get a buss home. Drivers shouting at each other, the traffic police shouting at the drivers, and lots of noise from everywhere, I thought my head was about to explode.!!! Well yes I am definitely in Greece, I thought to my self, no doubt about it.! Farewell to the Nordic cool… at least for a while.! Having spent a few days in Europe’s most quiet, green and civilised city, my return to Athens was quite frustrating.! No more long walks in beautiful parks, no more fooling around the Market , no more Lapin Kulta and most important no more training at the Fudoshin Dojo.! Ouch… that thought really hurt. !!! It may sound strange but it is true. 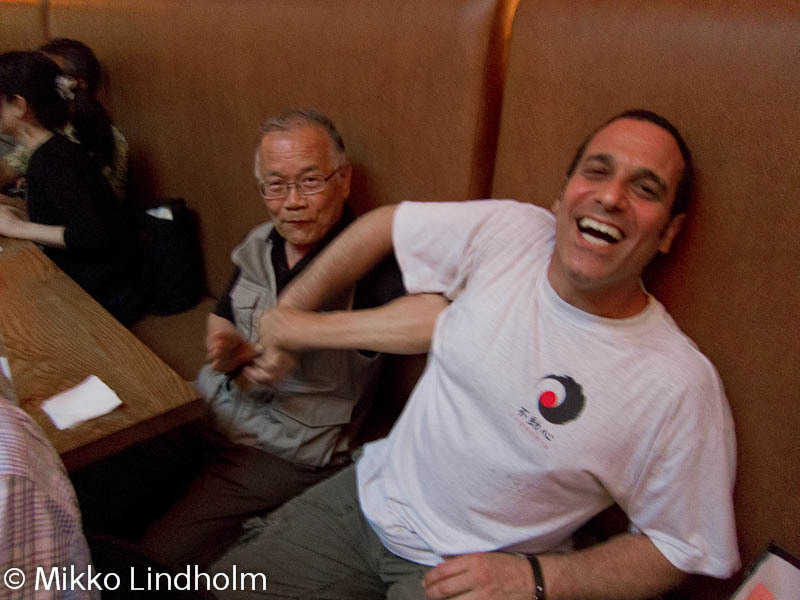 I was really happy during my stay at the Fudoshin and I felt like home in Helsinki. The training was hard or at least so I have been told, you see from a certain point I was so tired I could not tell the difference anymore. But as Jyrki says that is the fate of the live in – student. To be tired and lonely all the time. Well the truth is I was tired yes, all the time. But I have never been lonely, not for a moment during my stay. If their is a word that best describes Fudoshin Dojo and its people this word is *QUALITY*. 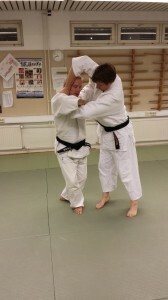 For most people it is a vague notion but in Helsinki, in Fudoshin Dojo it is a state of mind and an attitude of life. That is why if you really want to learn you don’t mind the pain and you don’t mind being tired simply because you know that there are people there that will do their best to train you, the best way they can. They do so whole heartily and with the true desire to offer to you what they have found through many hard years of practice. And most surprisingly they do it in a way that you feel you are equal to them. Like a friend who came to find the knowledge, and with whom they are willing to share. People at Fudoshin are so humble they make you wonder about all the encounters you had so far with self proclaimed masters!!! So this is the real thing. You do what you must do and still you have the feeling you haven’t done enough. You train for 4 hours and you wish you had the stamina to train for 8. And still it would not be enough.!! 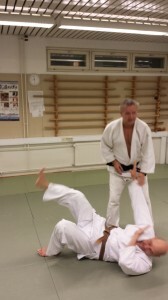 ”Be honest with the technique”, ”Quality man”, ”Make space”, ”Aiki day” , that is what I kept hearing from Jyrki.! ”Aiki is on the surface” That was Terhos favorite line. ”Would you like a souvenir” If Jyri asks that question just say no! I am grateful to all the dojo members for the time and effort they devoted in my training. But I feel obliged to give special thanks to Terho, Jyri, Hannu. Terho when I visit Helsinki again we must go horse riding, Jyri next time more beer and souvenirs, Hannu I really enjoyed Saturday morning training, I have never had better training partners and instructors at the same time. As for Jyrki. If I ever learn Daito ryu I will owe it mostly to him. He inspired me in the best possible way. I will not comment on his teaching … I can only say he is one of a kind. He managed to teach me so much in such little time.